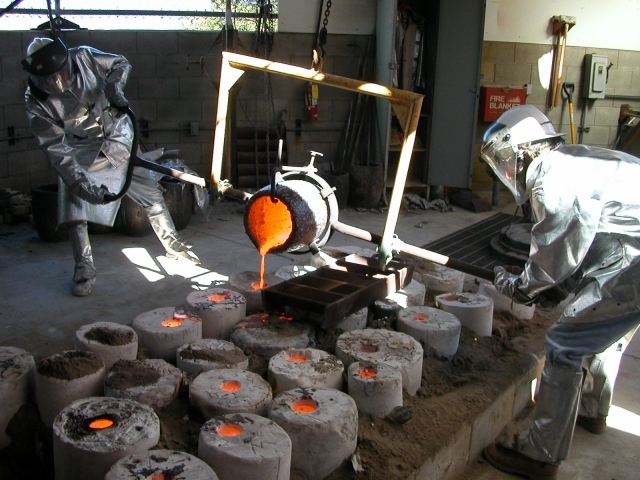 Bronze is usually cast using the lost wax (cier perdue) process. This technique has been used since ancient times to create permanent works of art. 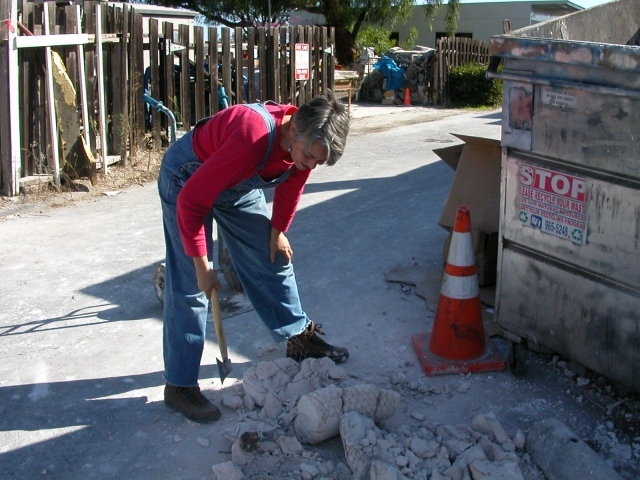 A wax original of the work to be cast is prepared. A pouring system consisting of runners and vents is created in wax and attached to the original. The original, with the attached pouring system, is immersed in a liquid mixture of sand and plaster of paris which creates the investment mold. 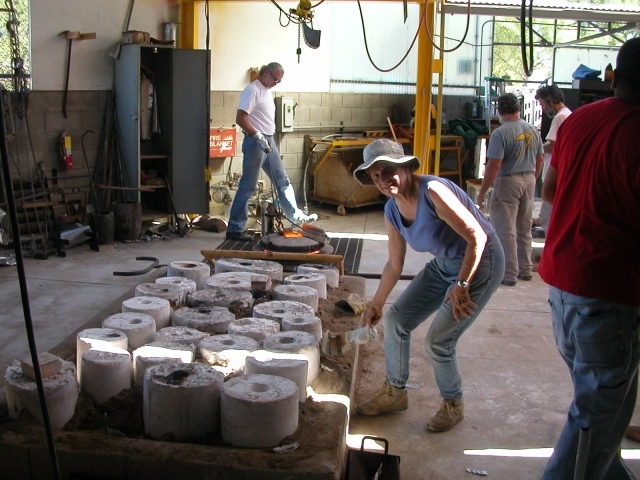 Once the investment mold has set up, it is heated in a kiln to burn out the wax. This leaves a negative of the original and pouring system encased in a the plaster mold. 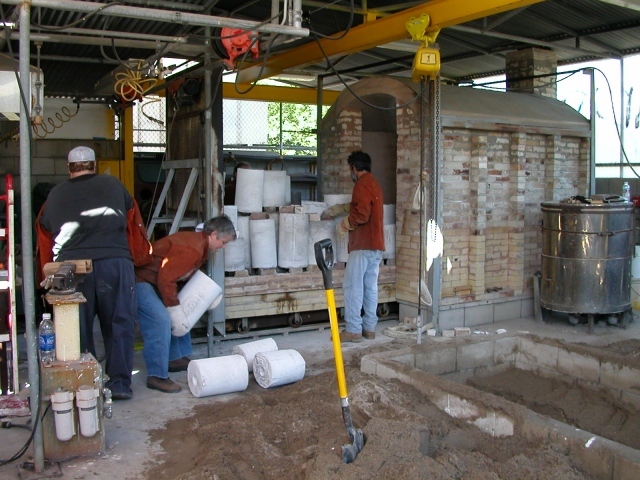 The investment molds are removed from the kiln and set into a sand pit. 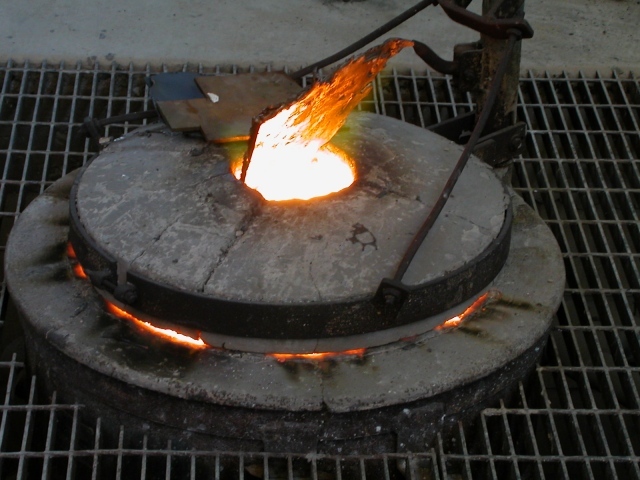 Molten bronze (at a temperature of 2000F) is poured into the now empty cavity and allowed to cool. Then, the investment mold is broken and the cast original and attached pouring system is released. Next, the the risers and vents of the pouring system are removed and the sculpture surface is chased and finished. 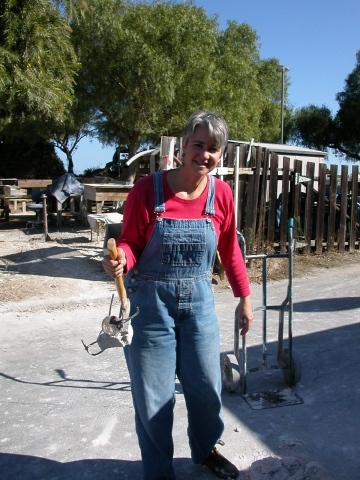 The final step is usually the application of a patina which enhaces the work. Investment molds ready for pouring.